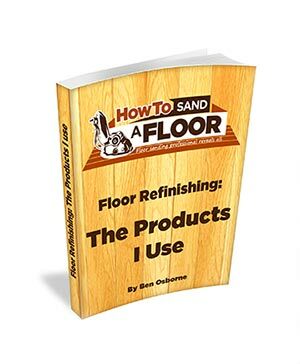 Get “Floor Refinishing: The Products I Use” eBook FREE! UPDATED 15th August 2018: Includes more information for the US audience (well-researched suggestions) as well as updated suggestions for the UK audience. Well, it’s less of an eBook and more of a pamphlet. This isn’t a 250,000-word novel that’s going to take forever to get through. 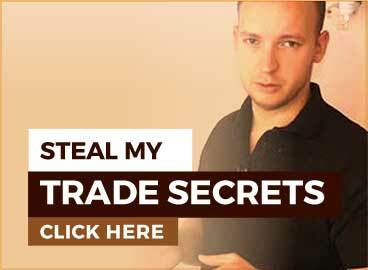 It’s just a short document that discloses the products I use with a little bit of use and experience information to go with it. There are products that you are probably going to buy, that despite what they’d have you believe, are the softest, worst products on the market. 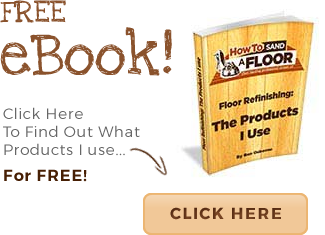 You will not find the best products in your local DIY store and yet, they are easy to get and do not cost a lot more. Even if they are industry secrets, I’m revealing all, right here. Enter your name and email to find out what products I use and depend on to do a good job, FOR FREE.